WORLDPAC was recently featured in the pages of Import Automotive Parts & Accessories magazine's JanFeb 2011 issue! Below is a summary of WORLDPAC press as it appeared in the issue. 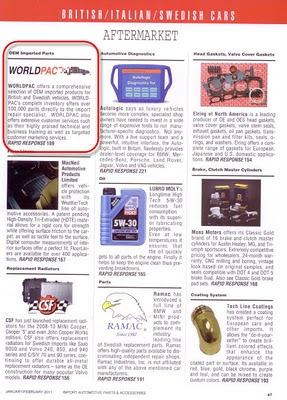 WORLDPAC stocks over 100,000 replacement parts for all import and select domestic applications sources from original equipment manufacturers. As part of their product selection, they have over 4,800 different exhaust and emissions components including OBD2 compliant catalytic converters, creating one of the most complete programs available . . .
NPN stocks over 350 service items for thousands of import applications including OEM manufactured products and select aftermarket products made to OE specifications. 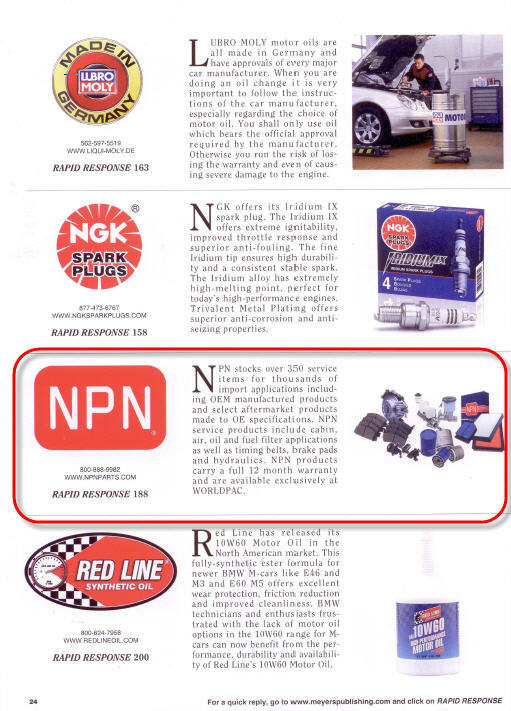 NPN service products include cabin, air, oil, and fuel filter applications as well as timing belts, brake pads, and hydraulics. 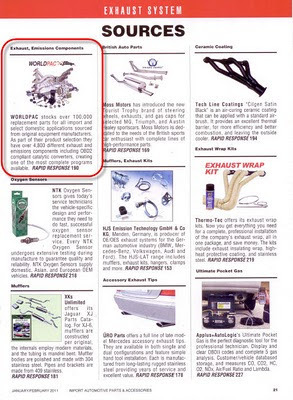 NPN products carry a full 12 month warranty and are available exclusively at WORLDPAC . 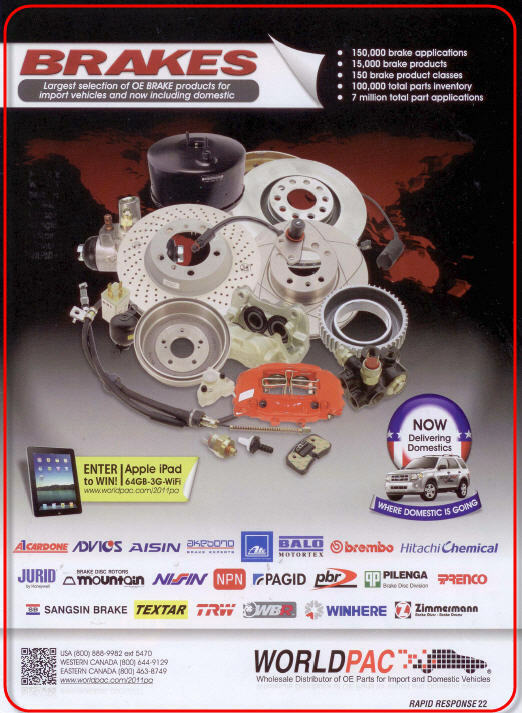 . .
WORLDPAC offers a comprehensive selection of OEM imported products for British and Swedish vehicles. 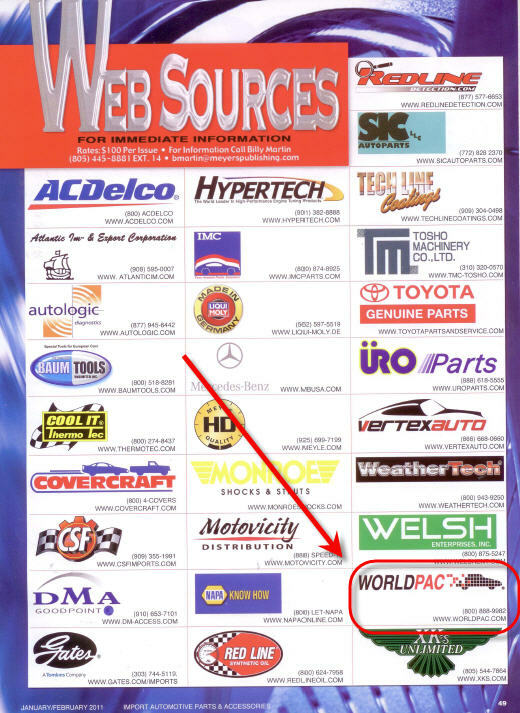 WORLDPAC's complete inventory offers over 100,000 parts directly to the import repair specialist. WORLDPAC also offers extensive customer services such as their highly praised technical and business training as well as targeted customer marketing services . . .
Don't forget to register to win an Apple iPad in the brakes campaign sweepstakes! Visit the brakes campaign web page to access the sweepstakes registration form >> click to access sweepstakes registration form . 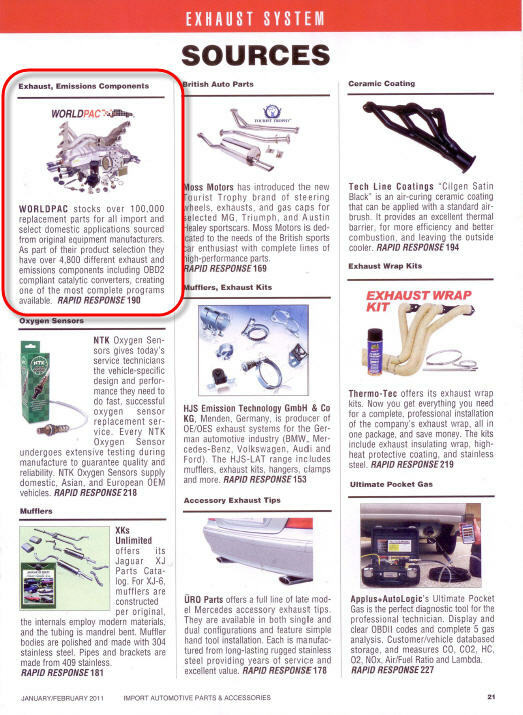 . .
To learn more about products highlighted in the issue or to become a WORLDPAC customer, contact (800) 888-9982 xt 5470 or visit www.worldpac.com. 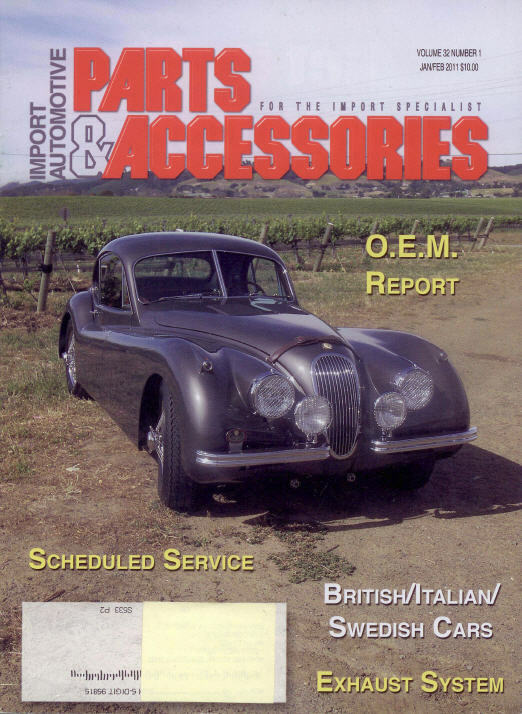 Import Automotive Parts & Accessories magazine keeps you up to date with the latest news and information concerning the import specialist market. 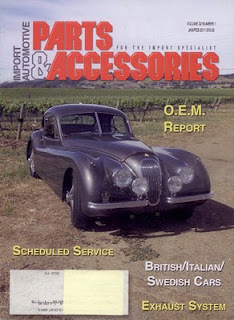 U.S. Business locations qualify for a free subscriptions of Import Automotive Parts & Accessories magazine. To subscribe, you must fill out the online form located on their website >> click to access free subscription form.